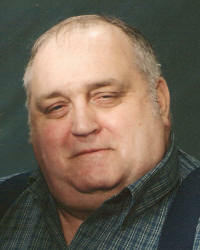 Thomas W. Lane, 63, of Breese, died Thursday, February 26, 2009 at his residence. Mr. Lane was born November 24, 1945 in E. St. Louis, IL to Lester and Norma (Childers) Lane; they preceded him in death. Also preceded in death by his step-mother, Josephine Lane; brothers, Raymond Lane and Tommy Lane; a sister, Gina Sue Lane; father-in-law and mother-in-law, Alphons and Margaret (Sauer) Olliges, Sr.; brothers-in-law, Edward Olliges , Jim Eversgerd; sisters-in-law, Martha Eversgerd, Judy Lane. He married Doris Olliges on April 4, 1970 at St. Mary Church in Trenton; she survives in Breese. Also surviving are his children, Michael Lane of Carlyle, Robert (Darla) Lane of Highland, and Tammy (Brian) Czerniewski of Breese; 6 Grandchildren-Keith, Kelsey, Kyle, Brooke, Dalton, and Brianna; a sister, Margo (Mike) Kohlbauer of Janesville, Wisconsin; a step-brother, Ronnie (Sharon) Martindale of Swansea; brothers-in-law and sisters-in-law, Fred (Ann) Olliges of Breese, Alphonse (Mary Ann) Olliges, Jr. of St. Morgan, Mary (Arnold) Schmeink of Carlyle, Rosie Olliges of Germantown and Karen Lane; and numerous nephews and all of his favorite nieces. Tom retired as an operator for B-Line in Highland. He was a member of St. Dominic Church in Breese, the Vietnam Veterans, Germantown American Legion Post 325, Breese Knights of Columbus Council 2869, Union District #9 IA of M&AW, and the International Association of Machinist and Aerospace. Funeral Mass of Christian Burial will be Monday, March 2, 2009 at 10:00 AM at St. Dominic Church in Breese with Fr. Ben Stern officiating. 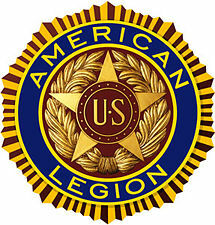 Interment with full military honors will be in St. Dominic/St. Augustine Cemetery, Breese. Visitation will be Sunday, March 1, 2009 from 4:00-8:00 PM and again on Monday, March 2, 2009 from 8:00-9:45 AM at the Moss Funeral Home in Breese. Memorials can be made to Mater Dei High School Football Program and will be received at the funeral home. The Vietnam Veterans will visit at 6:45 PM, the Germantown Legion will hold services at 7:00 PM and the Breese Knights of Columbus will pray the Rosary at 7:10 PM all Sunday evening at the funeral home.